Sevilla – Betis Prediction (2019-04-13). AC Milan – Lazio Prediction (2019-04-13). Caen – Angers Prediction (2019-04-13). Strasbourg – Guingamp Prediction (2019-04-13). Monaco – Reims Prediction (2019-04-13). Dortmund – Mainz Prediction (2019-04-13). Manchester Utd – West Ham Prediction (2019-04-13). AS Roma – Udinese Prediction (2019-04-13). Marseille – Nimes Prediction (2019-04-13). Tottenham – Huddersfield Prediction (2019-04-13). 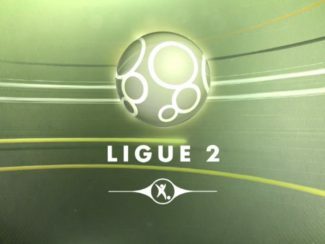 Lens – Valenciennes Prediction (2019-04-12). Beziers – Red Star Prediction (2019-04-12). AC Ajaccio – Grenoble Prediction (2019-04-12). Nantes – Lyon Prediction (2019-04-12). Dijon – Amiens Prediction (2019-04-12). Benfica – Eintracht Frankfurt Prediction (2019-04-11). Slavia Prague – Chelsea Prediction (2019-04-11). Arsenal – Napoli Prediction (2019-04-11). Villarreal – Valencia Prediction (2019-04-11). Manchester Utd – Barcelona Prediction (2019-04-10).